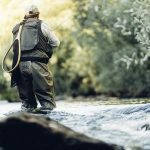 The ideal reel for any given fishing scenario will largely depend on the type of fishing undertaken and the species being targeted. However, there are some general traits to look out for. 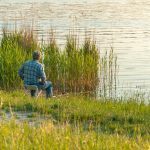 Selecting a fishing reel using these key characteristics will help guide you to a reliable and comfortable experience. One of the first things you notice when you pick up a reel is its weight. The weight of a fishing reel affects the balance of an outfit and your ability to repeatedly cast throughout the day. Lighter fishing reels are beneficial because they are easier to handle and minimise fatigue. 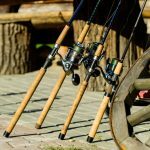 Heavier fishing reels can sometimes offer increased durability and are ideal for game fishing applications that do not involve casting. However many modern materials allow both durability and reduced weight in a reel. Look for models constructed from lightweight but durable materials. When you invest in a fishing reel, you want to ensure that you get a workhorse that is built to last. 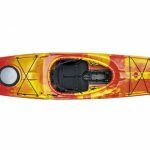 It needs to handle tough saltwater environments one day and off-the-beaten-track freshwater expeditions the next. Reels need to repeatedly deliver baits and lures to fish and haul them home to the net. Choose refined or machined products that are well-finished with smooth lines and a rugged feel. Small details can make a difference so look for products that pay attention to covering and protecting areas where water could potentially penetrate the reel such as screw points and handle joints. Try to get your hands on fishing reels that have been treated or coated with saltwater resistant layers to prevent corrosion. Drag capacity is another tell-tale sign of a decent reel. Good drag systems with solid capacities are developed through research and development and constructed with refined engineering. A solid drag means that you can put the brakes on when needed and improves the likelihood of subduing trophy fish. Another important feature of a reel that clearly separates quality is the way in which a reel lays line onto the spool. Better quality reels lay line evenly, while lower end reels tend to lay line in a lopsided manner. An even lay is most important for preventing line slipping off the reel and creating tangles. This is especially important with modern braid and gel lines. Most modern fishing reels have enough line capacity to deal with bread and butter estuary and freshwater species in Australia. However, line capacity becomes a critical consideration for chasing large pelagic species that are likely to peel away with plenty of line. Line capacity is directly influenced by the diameter of the line being used so it’s important to have a good idea of the line weight that you intend to spool on a reel prior to examining the spool capacity. The final aspect that usually defines the better quality reels from basic models are the additional features. 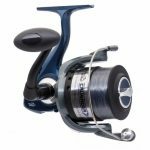 Reduced weight, comfortable handles, and bearing count can be useful indicators of the attention to detail that has gone into the design and assembly of a reel. However, be wary of gimmicks too. 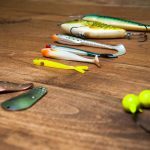 Whether you’re hunting for a new a spinning reel, baitcast reel, overhead fishing reel or fly reel, keep in mind that these key traits will help you to identify important features that may affect your fishing experience and enjoy. Is there anything you would like to add to this article? Share your experience with everyone and the editor through the comments section below.